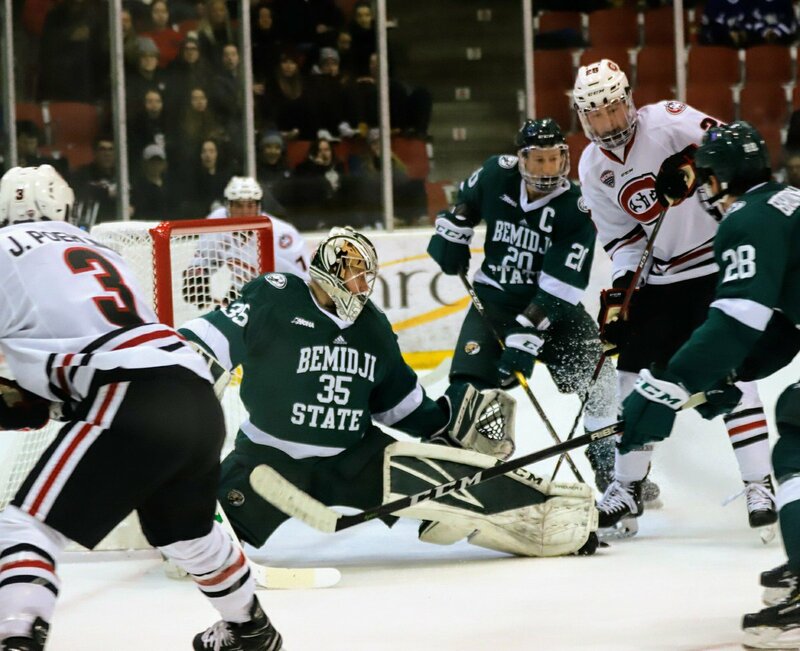 NOV 16 (FRI) 7:07 P.M.
NOV 17 (SAT) 6:07 P.M.
Bemidji State University continues non-conference play this weekend as it travels to No. 2 St. 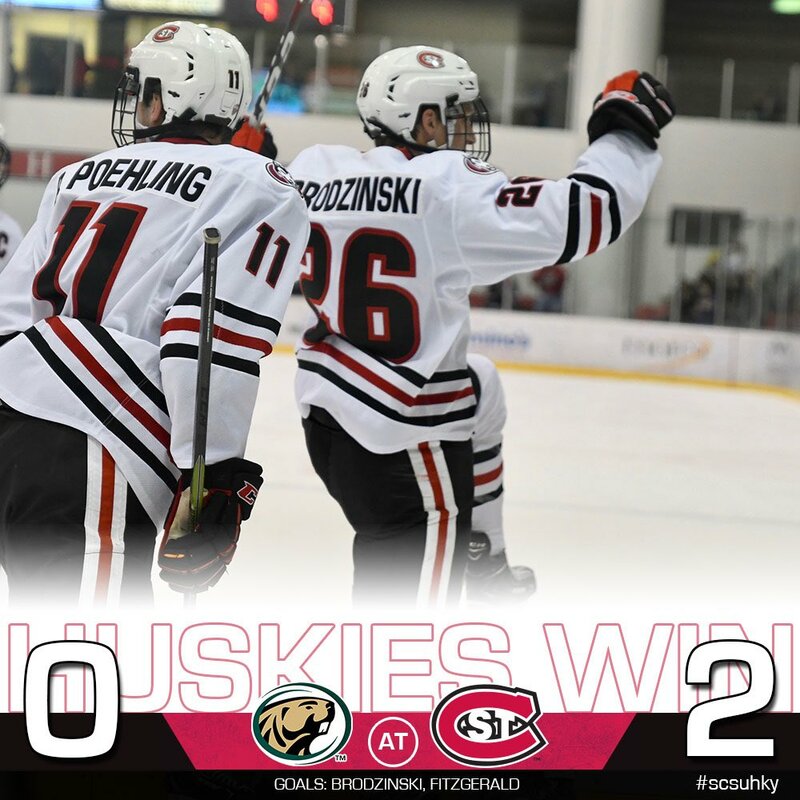 Cloud State University for a two-game set at the Herb Brooks National Hockey Center in St. Cloud, Minn. Head Coach Tom Serratore and sophomores Ethan Somoza and Zach Driscoll preview the series. Hey Fans! 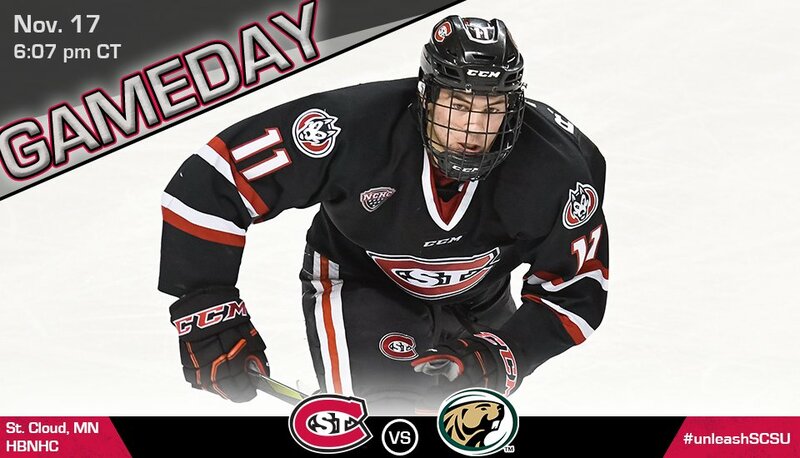 Get your inside look into the @SCSUHUSKIES_MH series against @BSUBeaversMHKY on Friday at the Hockey Game Day Luncheon! Please RSVP at http://SCSUTickets.com and payment will be taken at the door. 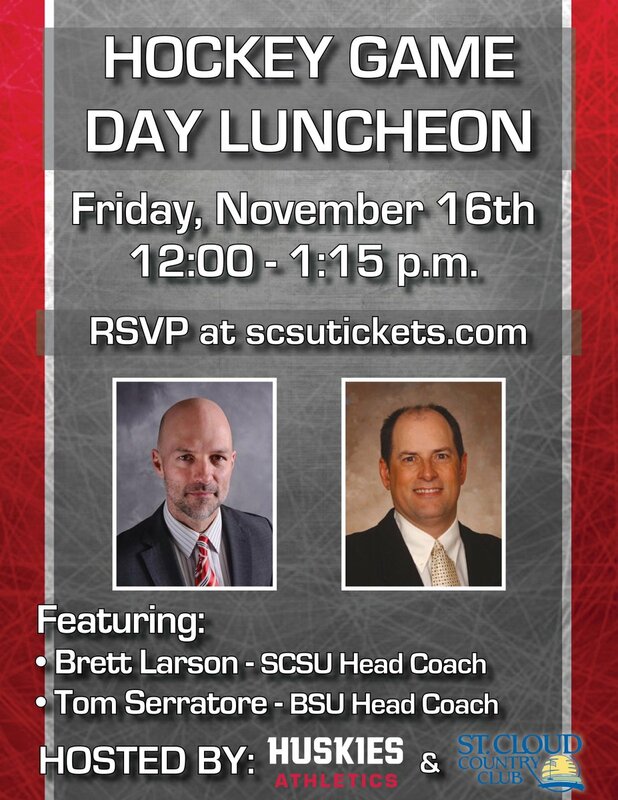 Hockey Fans, don't forget to RSVP for the @SCSUHUSKIES_MH Gameday Luncheon featuring Huskies Head Coach @BrettLarson18 and @BSUBeaversMHKY Head Coach Tom Serratore. $10 All Inclusive Sandwich Buffet @StCloudCC. RSVP at https://bit.ly/2P4MTjF . Is it weird that I'm actually kind of more hyped for this weekend than last? The Beavs are my second fave team, so I always love the Series against them! Also, it's beyond awesome to see Mick still invested in Husky Hockey! Thursday NCHC radio show hasn't been updated yet. With Mick Hatten out I don't see a pre-game/projected line-ups story out yet either- SC Times. 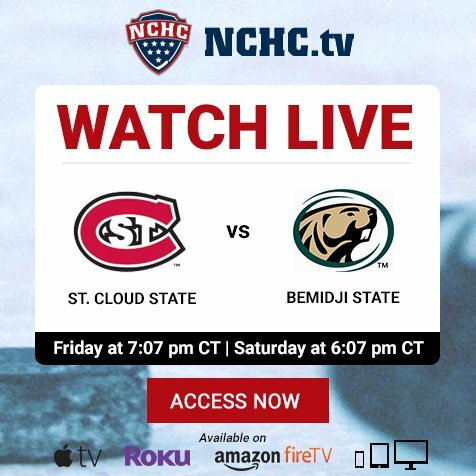 Follow all the action this weekend: @SCSUHUSKIES_MH vs. @BSUBeavers on http://NCHC.tv ! Despite seemingly everyone calling for a Huskies Sweep, I think this is gonna be a tough Series that shows where our guys are at; BSU is a fantastic defensive team that will make us work for anything and everything and I should think Coach Larson is bringing out the NU tapes to review as that was a similar (to my eyes anyways) match-up (not so much style wise, more in the gameplan they used to beat us). Still, anytime my #2 fave team comes to town it's awesome, so I'm BEYOND stoked for this weekend! Jeff Smith stops all 32 pucks he faces and picks up an Assist on the Empty-Net Goal while Easton Brodzinski converts on the Power-Play in the first period to get the big In-State Rivalry victory! Hey husky fans our pregame show "Face Off" with Joe Scarrella will be airing at 6:30 on Spectrum 823, Comcast 999, and for the first time ever we will be streaming live on Facebook. Just go to http://facebook.com/SCSUHuskyProductions/ … tune in for the latest news and info on your favorite team. A few notes for tonite: Sam Hentges with a minor injury and will sit out tonite. Micah Miller in. Jeff Smith gets the start tonite in goal for SCSU. Hank Johnson in goal for BSU tonite. Last edited by hockeypuck on 17 Nov 2018, 13:10, edited 1 time in total. 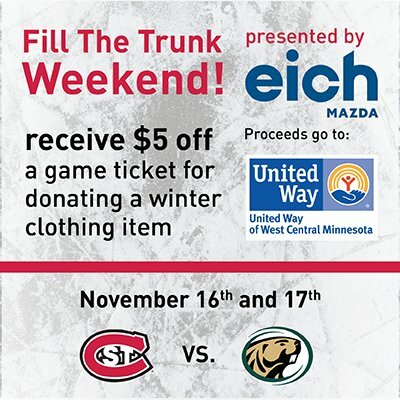 Nov. 17 - 6:07 p.m.
SCSU Students get in FREE! Huge in-state rivalry Sweep over the Beavs!